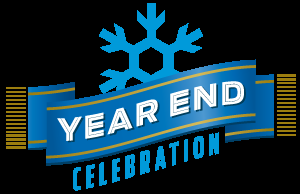 This year, we recognize 49 years of improved safety in the automotive industry. On June 24, 1966, the National Traffic and Motor Vehicle Safety Act was enacted. This bill allowed the federal government to administer new safety standards for motor vehicles and eventually led to the creation of the National Highway Traffic Safety Administration (NHTSA) we know today. Throughout the early 1960s, the public became increasingly more and more concerned over the skyrocketing number of motor-vehicle related fatalities. With the passage of this law, new safety features were added to cars, including head rests, energy-absorbing steering wheels, seat belts, shatter-resistant windshields, and more. In addition, roads were improved for superior safety as well. Edge and center line stripes and reflectors were added to help drivers better determine a road’s curves. Breakaway sign and utility poles and guardrails were also added. A third factor, behavior changes in drivers also improved safety. Drivers were learning about the affects of driving while intoxicated and using safety devices, such as seatbelts. With all of these changes, the decrease in the number of motor vehicle fatalities was almost immediate. Improvements in road and vehicle safety continue through today with active safety features that can help prevent accidents. 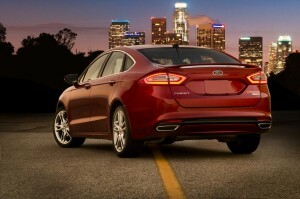 For example, the Blind Spot Information System and Adaptive Cruise Control with Forward Collision Warning are all available in the Ford Fusion. 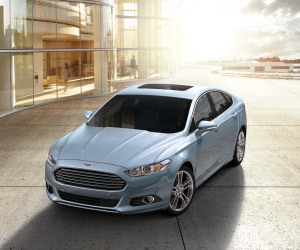 Stop by Sanderson Ford today and we’ll show you how far safety features have come in the full Ford lineup. Smaller cars are already more efficient than larger ones, so many automakers have concentrated their lightweighting efforts on those larger vehicles—like full-size trucks and SUVs. But not Ford. Sure, they’ve got the 2015 F-150 coming out, but with the new “Lightweight Concept,” Ford is proving that they’re committed to bringing lightweighting technology to the entire lineup. 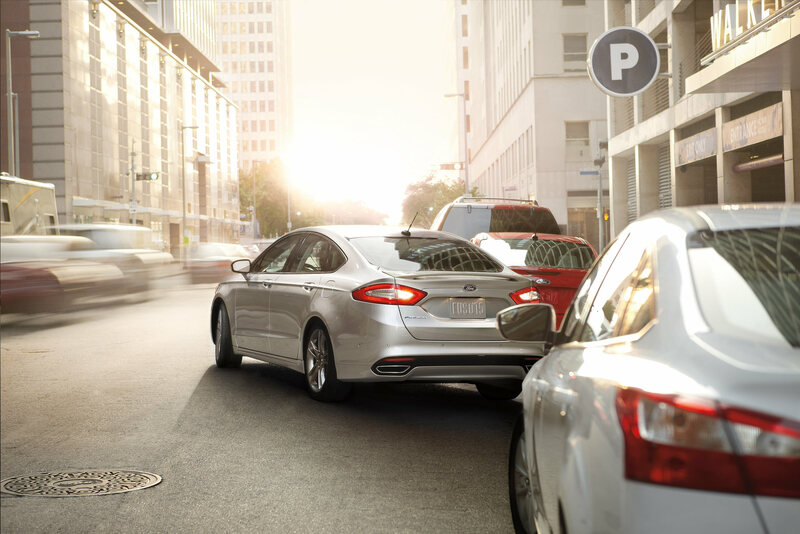 “Lightweighting our vehicles is incredibly important to us in terms of improving fuel economy and reducing CO2 emissions,” says Kumar Galhotra, vice president of engineering for Ford, told USA Today. 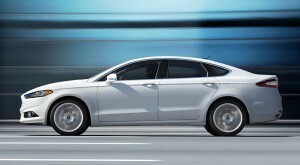 The “Lightweight Concept” shows just how serious Ford is about shedding major weight off their vehicles; the concept is a Ford Fusion that’s lost so much weight—over 700 lbs—that it now weighs only as much as the much smaller Ford Fiesta. The Lightweight Concept is a radical idea—Ford has literally replaced every part it can with a lighter alternative. Windshields are made out of Gorilla Glass or plastic, the frame is heavily infused with aluminum, carbon fiber materials replace parts both inside and out of the vehicle. All these lighter parts allow the Lightweight Concept to run on a smaller, more efficient engine—a 1.0L EcoBoost—and still get Fusion-like performance numbers. We won’t see this Lightweight Concept as a production model here at Sanderson Ford anytime soon, but Ford plans to make six of the special concept models for testing. If you’re a Ford customer, you should be excited about the Lightweight Concept—it’s full of customer-oriented ideas that will soon benefit you, the owner, both on the road and at the pump. 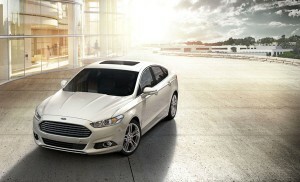 The 2013 Ford Fusion has been named a Top Safety Pick+ by the Insurance Institute for Highway Safety (IIHS). Although the Top Safety Pick award has been around for years, the Top Safety Pick+ is a new award this year, which recognizes vehicles that go beyond the criteria for their standard Top Safety Pick rating. The IIHS added a new crash test this year, bringing their total to 5: moderate overlap front, side, rollover, rear, and the new small overlap front crash tests. All new vehicles undergo these 5 tests and receive one of four ratings – good, acceptable, marginal, or poor. In order to be named a Top Safety Pick, a vehicle must score the top rating of good in the moderate overlap front, side, rollover, and rear crash tests, regardless of their score in the small overlap front test. To achieve the more highly regarded Top Safety Pick+, a new vehicle must receive a good rating in at least 4 of the 5 crash tests, and a rating of either good or average in the fifth test. Stop by Sanderson Ford to check out the Top Safety Pick+ Ford Fusion today! The 2013 Ford Fusion Energi hybrid plug-in is estimated to return an incredible 100 MPGe (miles per gallon equivalent) combined rating. 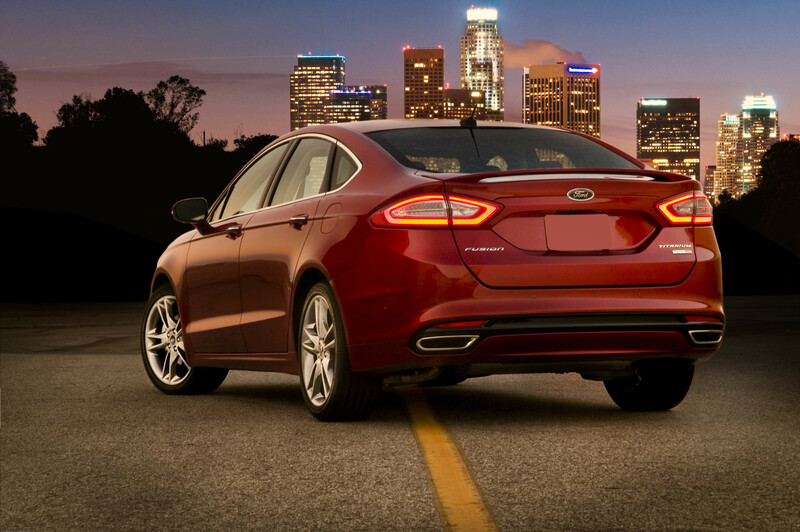 The combined rating is the average of the Fusion Energi’s 108 MPGe city and 92 MPGe highway, making it the most fuel efficient sedan in America. 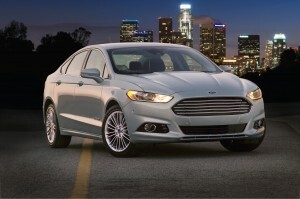 The 2013 Ford Fusion Energi is just the latest effort by Ford to deliver the most fuel efficient vehicles possible.